Wouldn’t one of the high-back captain’s chairs from the now-closed 13 Coins restaurant look good in your rec room? 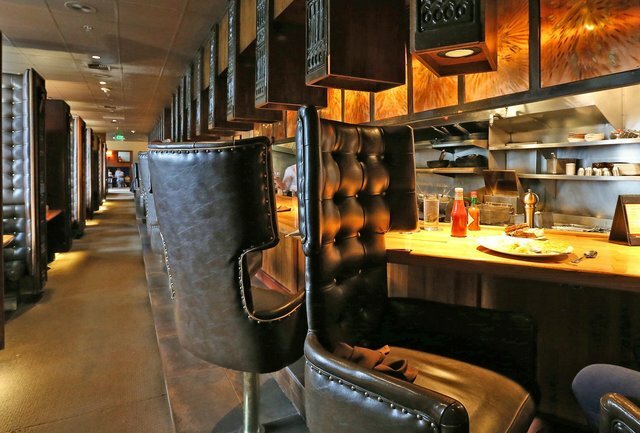 What about those padded dining booths? You can buy them at auction.